SEO Strategy: Are you the egg or the chicken? In which case I won’t bore you with “the greatest strategies of SEO” or “The hidden secrets” that you already know! Instead, I will help you analyse your SEO in order to define which strategies are the best for you. Where are you at you’re best and when are you failing. This will allow you to occupy your precious time with the best SEO strategy for you! 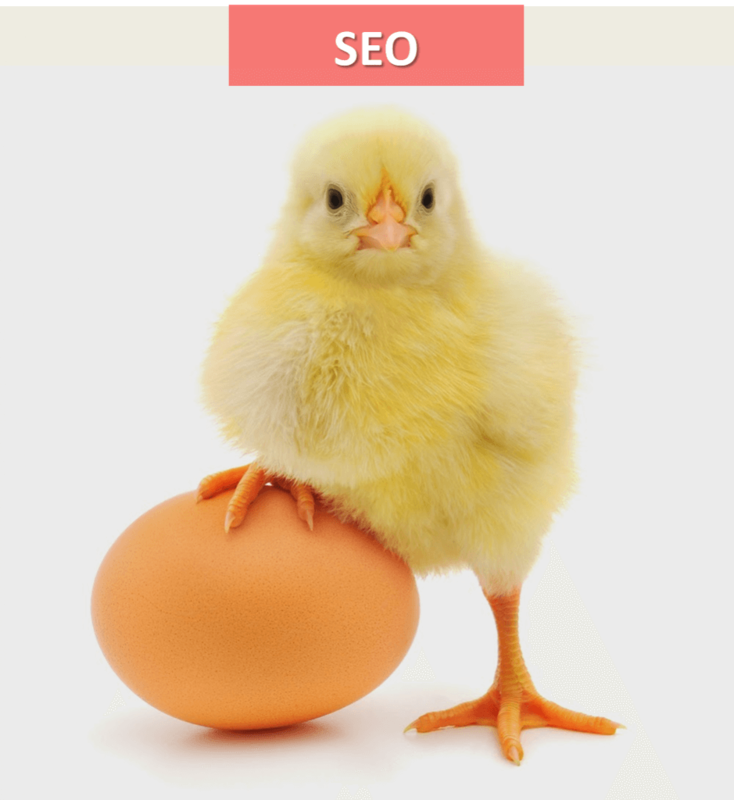 This SEO strategy will tell if you are the egg or the chicken! Recently, someone got to the bottom of this question and after, I don’t know how much time, but I’m betting a lot, he figured out the answer. So what the hell does this have anything to do with SEO strategy? First, don’t you want to know the answer? The answer is as simples as this: an egg can become something that is not a chiken, and because of that every chiken had to be first of all and egg, but not all of the eggs came from chickens. So the answer is: First came the egg. Now to the point: If you are used to SEO tecniques you are the egg, if you are new to this hole thing, you are the chicken! The strong thing about “eggs” is that they understand what is happening, they’ve seen it arrive and they know how to deal with it. The problem with this type of SEO marketeers are the “old habits”. They forget to do their homework and keep looking for new and better ways to have things done. Even if you are the best, you’ve studied, you’ve read. It is not enough, the digital age is transforming everything at overwhelming speed, inlcuding itself. So the best strategy for the “eggs” is to keep informed. Generally this type of marketeers also differ from the “chickens” when in comes to tecnical skills. So take advantage of that and work on content and inovation. Now that you know your strenghts here is a list of current and amazing tools to help youkeep up with SEO changes. Totally different story is the chicken SEO strategy. Actually, it’s the opposite. Unlike the egg, the chickencome after and is working hard to keep up. Because they are new, they reasearch a lot, they keep reading, asking questions and learning about different and new ways to do things. The problem with these chickens is that they are all over the place. Trying to fix everything and learn everything and they do not focus. Also, they can’t really tell if something is great or terrible advice and just gor for it. On the other hand those tend to have the most interesting contents because they are writting genuinely from their hearts. I’m the chicken, now what? Well, if you are the chicken, the answer to your problems is focus and practice. Focus on your SEO strategy, and practice till you know it by heart. Otherwise you will be wondering around in between tips and tecniques and nothing will ever become strong enough to work. If you want to check out some more of our SEO related articles, we suggest the one on “Keyword Research Tools“.